Amitriptyline, antidepressant frequently prescribed for treatment of depressive disorders and several neuropathic and inflammatory diseases, has been shown to cause neurotoxic effects. This effect has been partially linked with increased oxidative stress and apoptosis initiation; however, the exact mechanism is still unknown. 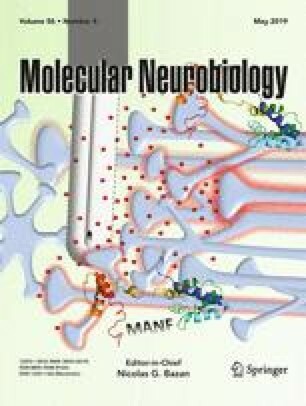 Klotho protein due to its neuroprotective characteristics seems to be involved in the amitriptyline-mediated neurotoxicity. In this study, we have evaluated the effect of klotho silencing on mouse hippocampal cells exposed to amitriptyline. We show, for the first time, that klotho silencing intensified in hippocampal neurons amitriptyline-induced imbalance in oxido-nitrosative and mineral homeostasis, genomic instability associated with telomere dysfunction what resulted in p16- and p53/p21-mediated cell cycle arrest and activation of autophagy and apoptotic cell death in consequence. Therefore, these results indicate that klotho serves as a part of the cellular defense mechanism engaged in the protection of neurons against amitriptyline-mediated toxicity. The online version of this article ( https://doi.org/10.1007/s12035-019-1575-5) contains supplementary material, which is available to authorized users. The authors would like to thank Slawomir Nowak, MSc, for providing antibodies against HMOX-1 and HMOX-2. JM performed the experiments, analyzed the data, carried out data interpretation, wrote the paper, and conceived and designed the experiments. PS performed the experiments, analyzed the data, carried out data interpretation, and wrote the paper; AT-L performed the experiments. MK conceived and designed the experiments, and carried out data interpretation. This work was supported by the “Preludium” no. UMO-2014/15/N/NZ7/04097 funded by the Polish National Science Center.